A group of representatives from South Korea’s presidential panel returned home Sunday after a trip to North Korea, where they discussed possible trilateral economic cooperation involving the two Koreas and Russia, its official said. The Presidential Committee on Northern Economic Cooperation sent an 11-member team led by committee chairman Song Young-gil to the North’s northeastern border region of Rason. They stayed there for two days from Friday. The team originally planned to attend a seminar hosted by Russia to discuss trilateral economic cooperation involving the two Koreas and Russia but canceled its participation. Instead it had discussions with North Koreans and Russians on the Rajin-Khasan project and other issues, the official said. Rason, formerly known as Rajin and Sonbong, was designated as a special economic zone in 1991. The North has sought to develop the zone by drawing outside investment but faced setbacks amid its continued provocations. The Rajin-Khasan project, in particular, is a logistics project aimed at transporting coal from Russia to the North by using a 54 km-long railway linking Khasan in Russia to the Rajin port of North Korea and then to South Korea by ship. There have been test operations of the transport route three times, including the latest one in November 2015. The trilateral cooperation project, however, has been put on hold as South Korea banned maritime transport from the North in early 2016 in the wake of the North’s nuclear and missile provocations. “The Rajin-Khasan project is not subject to U.N. sanctions but to sanctions imposed by the U.S. So we plan to draw up and propose a broad picture and make preparations for joint study until there is progress in denuclearization and discussion begins on lifting those sanctions,” the panel official said. Presidential panel discusses Rajin-Khasan cooperation during trip to N.K. 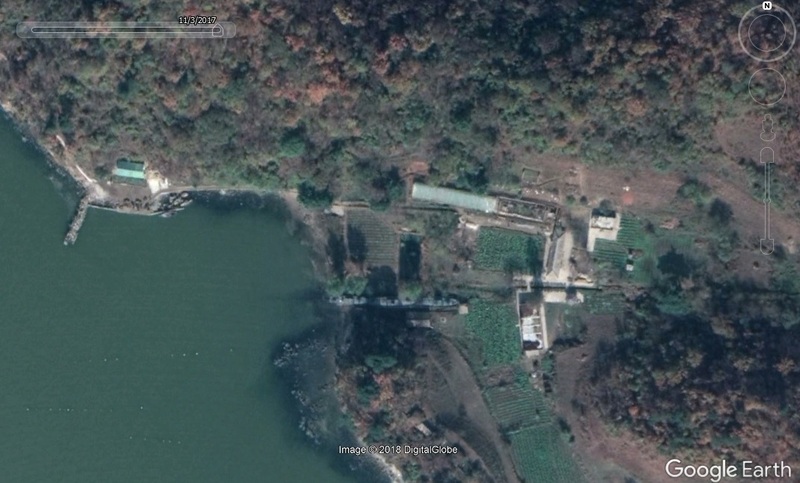 Analysis of the North Korean media indicates that Kim Jong-un spends a lot of time in Wonsan. As we all know, he has a family compound there that was visited by Dennis Rodman and his delegation. 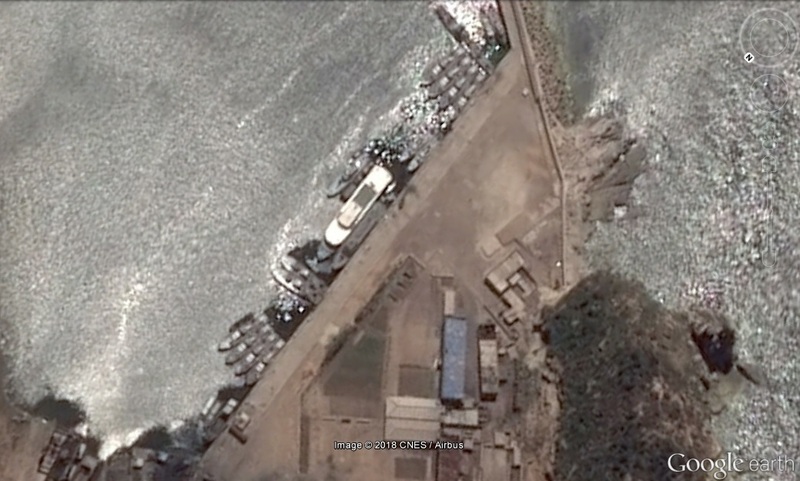 At this compound, we can observe several unique boats that are only seen in Wonsan (pictured below). There are five of these particular boats as far as I am aware. They are approximately 50m-60m in length. 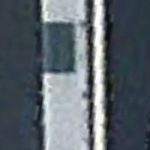 From satellite imagery, it appears they are mostly differentiated by the amount of cover they provide. They may each offer different services, but I have not been able to see many ground-level photos of these boats. As best I can tell, they are not self-propelled and have to be pulled to new locations. 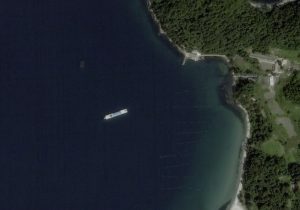 Based on Google Earth imagery I was under the impression that these deck boats were simply transferred back and forth between the two locations mentioned above (Kim compound and storage facility), but with planet imagery, we can see that they are used more widely. 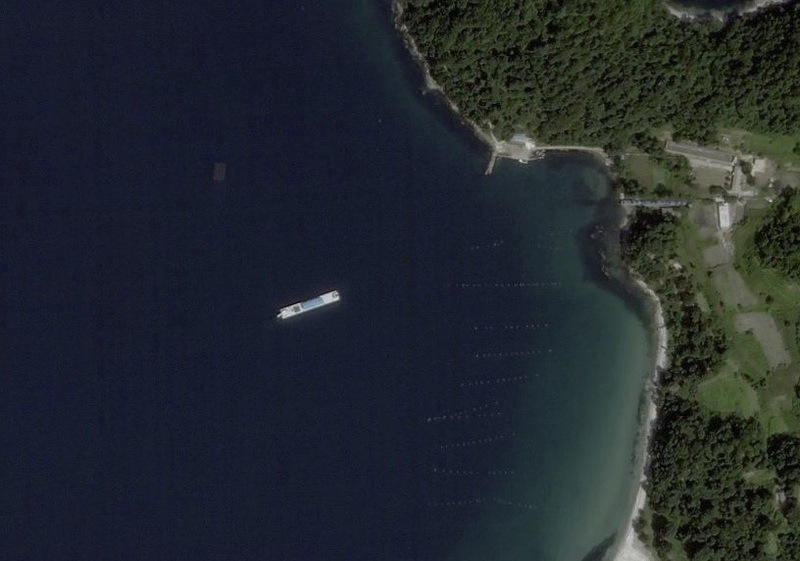 According to imagery form Planet Labs, two of these deck boats were deployed to Tae-do in the summer of 2017. 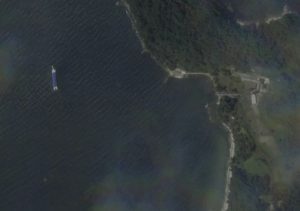 The first boat shows up in Planet Labs imagery of Tae-ri (below) on May 24, 2017, and it is visible until August 30, 2017. 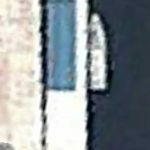 The second boat appears in Planet Labs imagery at the same location on September 7, 2017 and is gone by September 13, 2017. As for the island itself, Kim is never reported to have made a guidance visit to it. It is most well known for hosting a small naval ship repair unit, so there may always be some service personnel within view of the boat. 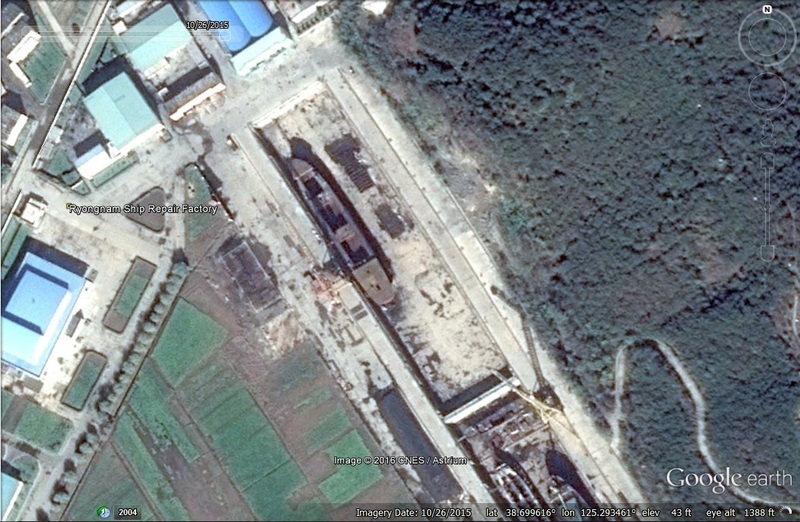 North Korea has recently founded a trading company, ‘Korea Yongpung General Corporation’ (AKA: Korea Yongphung Corporation), which focuses on the shipping industry. 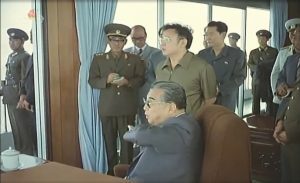 On March 28, 2016 North Korean website Naenara introduced the company saying the “newly founded” company “is engaging in and expanding its various trade activities, development and cooperation.” Though the date of the establishment was not revealed, the use of “newly founded” suggests the company’s recent establishment. According to the website, this new company’s parent is the larger Myohyang Shipping Co. (founded in 1993), and the new company is comprised of multiple companies such as Nos. 1 and 2 Trade Company, Myohyang Shipping Company, an investment trading company, and external economic technology development agencies. This includes Ryukyung 105 Company and Ryushin Cooperation Company, with other companies and factories such as Ryukyung Condensed Milk, an iron smelt, spring mineral water factory, marine foodstuffs export factory, Taedonggang Construction Company, Myohyang seamen’s academy, Myohyang seamen’s station, and others. It purportedly also has networks of volunteers and stores throughout the country, as well as branches abroad — a foreign economic and technology cooperation agency in Russia and overseas representative agencies in China (Beijing and Dandong) and Singapore. The new company focuses on such things as operation of freighters and joint venture ships, trading goods, mining, fisheries, construction and technological cooperation abroad, IT development, and development and sale of information technology goods. In order to run the freighters and joint venture ships, the company recruits captains, chief engineers, navigators, and sailors through the Myohyang seamen’s academy. It is also in the process of developing and modernizing the Sohaeri mine and Toksong ophiolite mine. In addition, Yongpung Information Technology Exchange Lab is said to be strengthening cooperation with others in information exchange for development of web and mobile programs, development and sale of software programs such as 3D games, and various technologies. The external economic and technology development agencies are tasked with building international relations in construction, technological cooperation, and architectural ornamentation abroad. They also focus on ship repair and services, inter alia. The newly established is expanding its activities for trade, development and cooperation. Its predecessor is the Myohyang Shipping Company which was inaugurated in 1993. Now it has developed into a mammoth enterprise comprising Trading Companies No. 1 and No. 2, Myohyang Shipping Company, Investment Trading Company and External Economic Technology Development Company. Its business categories include operation of cargo vessels and joint-owned vessels, trade in commodity, mining, fishing, construction abroad, technical cooperation, IT development, production and sale of IT products. Affiliated to the corporation are such companies as Ryugyong Company 105 and Ryusin Joint Venture Company; Ryugyong Chain Filling Station, Reduced Iron Factory, Onchon Spring Factory, Onchon Aquaculture Farm Seafood Exports; Taedonggang Construction Company, Myohyang Crew Training School, Myohyang Crew Transient Station and several other training centres and some commercial outlets in Pyongyang and other places of the country. The corporations overseas branches are the External Economic Technology Cooperation Agency in Russia and missions in Beijing and Dandong, China, and in Singapore. The operation of cargo vessels and joint-owned vessels, the main business categories of the corporation, are conducted by captains, chief engineers, navigation officers and other crews, all of whom are graduates from the Myohyang Crew Training School. With mining as a key business category, the corporation directs great efforts to developing and modernizing Sohaeri Mine and Toksong Serpentinite Mine while paying due concern to inviting investment in these mines from foreign countries. The promising talents of the Yongphung Information Technology Exchange Company are playing a pivotal role in promoting exchangs and cooperation with other countries in the development and sale of such software such as the wed mobile application and 3D games and technical services for various kinds of hardware. The External Economic Technology Development Company is promoting exchanges and cooperation with several countries in construction, technical assistance, and architectural decoration and is briskly conducting trade activities including cargo vessel repair and service business. According to its scientific strategies for business operation and enterprise management and underpinned by its solid material and technological foundations, the corporation is conducting multi-faceted trade activities, encouraging long-term chartering and joint operation of ships, putting emphasis on inviting investment in the magnetic iron ore and serpentinite mines. South and North Korea kicked off another test operation Tuesday of their joint logistics project to ship Russian coal to the South through a port near the border with Russia, government officials said. 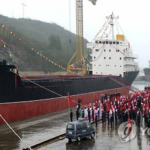 Some 120,000 tons of Russian coal will be delivered to three South Korean ports on a ship from the North Korean port city of Rajin after being transported from Russia’s border city of Khasan on a re-connected railway in the third run of the so-called Rajin-Khasan logistics project. The trilateral project will be carried out until Nov. 30. It is a symbol of three-way cooperation at a time when inter-Korean exchanges have become stagnant following the deadly sinking of a South Korean warship by the North in 2010. 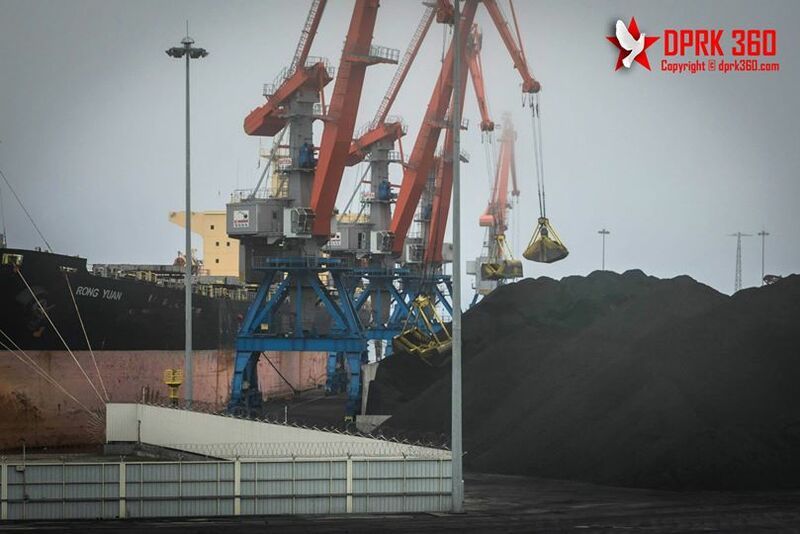 In November 2014, the first shipment carrying 40,500 tons of Russian coal smoothly arrived in South Korea in the first operation of the project. The second test was conducted in April. The initiative involves three South Korean firms — top steelmaker POSCO, shipper Hyundai Merchant Marine Co. and state train operator Korail Corp.
A group of some 20 government and company officials are set to cross the border between Russia and North Korea on a bus later in the day after they departed from Vladivostok a day earlier, according to the Unification Ministry. They will stay in the North’s city till Friday to check the Rajin port’s capacity to handle shipments and to see how smoothly vessels can be berthed there, the ministry said. The South Korean firms will decide on whether to clinch a formal contract based on the outcome of the pilot operation. It is highly likely that the signing of a formal deal could be delayed into next year. “It is unclear when the formal contract could be signed,” said a ministry official, asking not to be named. The project is also part of President Park Geun-hye’s vision for a united Eurasia, known as the Eurasia initiative, which calls for linking energy and logistics infrastructure across Asia and Europe. The project is regarded as an exception to South Korea’s punitive sanctions on the North, which has suspended almost all trade and exchange programs, apart from a joint factory park project in the North’s border city of Kaesong. A bulk cargo and container shipping route between China and the Democratic People’s Republic of Korea (DPRK) has been put into operation, focusing on coal import from DPRK and grocery export from China, authorities said on Friday. The route, linking Longkou port of east China’s Shandong Peninsula to Nampo port of western DPRK was the first scheduled shipping line for bulk cargo and container between the two countries. It is serviced by seven ships, which complete one circuit of the ports every ten days, according to Longkou Port Group. The route was jointly established by Longkou Port Group, Liaoning Hongxiang Industrial Group and a shipping company in DPRK in a bid to promote international trade under China’s “Belt and Road” initiative. Located at the Bohai Sea coast and built in 1914, Longkou port handled 75.07 million tonnes of cargo and 550,000 TEU of containers last year. “The opening of the route can help improve the service function of the port and is of great significance for the port’s transformation and upgrading,” said Zhang Haijun, general manager of Longkou Port Group. China has launched a bulk cargo and container shipping route connecting it to North Korea that will focus on importing coal and exporting groceries, state news agency Xinhua said on Friday, citing a Chinese port authority. The route will connect China’s Longkou port in eastern China’s Shandong province with the North Korean port of Nampo, and will be serviced by seven ships, it said. Though China’s coal imports have slumped 32 percent in the first eight months of the year, deliveries from North Korea have surged 33 percent to 13.4 million tonnes, making it China’s third biggest foreign supplier. “This big rise is probably down to North Korea’s industrialisation, which should have spurred an increase in production,” said Yao Yao, a coal analyst with China’s Guangfa Securities. The new route was established by the Longkou Port Group, Liaoning Hongxiang Industrial Group and a North Korean shipping company, Xinhua reported. It said the Longkou Port handled 75.07 million tonnes of cargo and 550,000 TEU of containers in 2014. A New York marine insurance firm has agreed to pay fines for violating U.S. sanctions against North Korea, Cuba and Iran. Insurance provider The Navigators Group, Inc. admitted the company provided North Korea vessels with marine insurance, according to a statement from the U.S. Treasury’s Office of Foreign Assets Control on Thursday. OFAC said Navigators had committed a total of 48 violations: The firm was found in violation of North Korea sanctions including Executive Order No. 13466 and various sanctions against Iran, Cuba and Sudan. The firm has agreed to pay a reduced fine of $271,000 — down from an initial penalty of $750,000. Of the $750,000 amount, $570,000 was a fine for North Korea sanctions violations. OFAC said the penalty was reduced after Navigators voluntarily disclosed information of its violations and cooperated with investigators. Navigators earned $1.1 million in insurance premiums between 2008 and 2011 from 24 individual policies for North Korea vessels. Between 2009 and 2010, the firm delivered $12,000 in payouts. 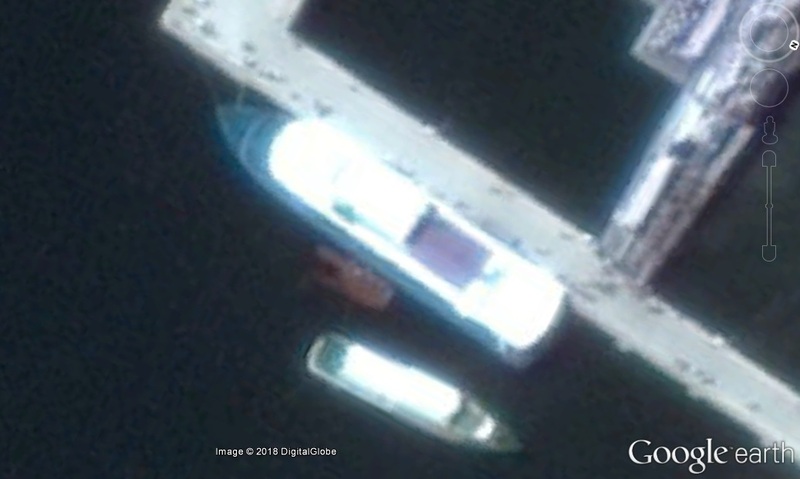 Despite sanctions, North Korean ships remain active at sea. 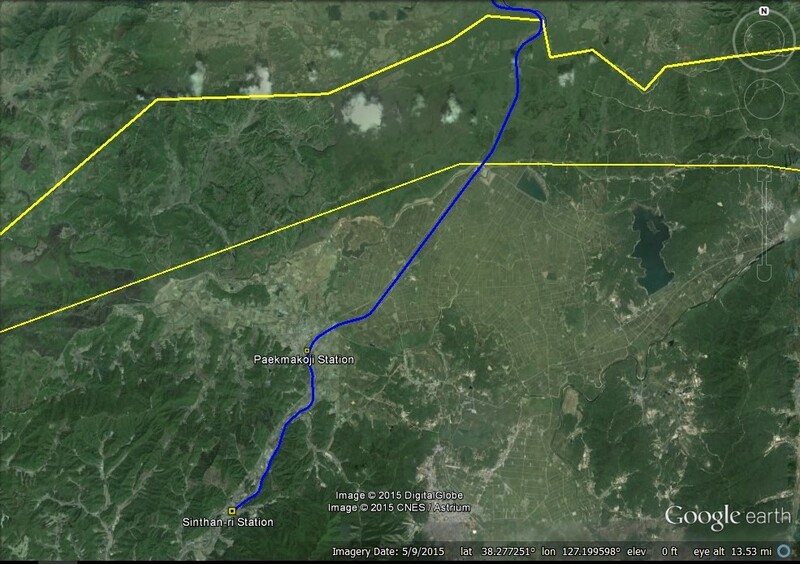 Pictured Above (Google Earth): The route of the historical Gyeongwon Railway Line from the DMZ south to Paekmakoji Station (백마고지역). South Korea said Tuesday it will pull out from a trilateral trans-Korea logistics project with Russia as it unveiled a new set of standalone sanctions chiefly targeting North Korea’s financial and shipping networks. Her administration had touted the program as a test bed for building confidence with the North and renewed collaboration with Moscow since its launch of the Eurasia vision in 2013. The Russian-led initiative calls for refurbishing the North Korean port city of Rajin and laying a 54-kilometer railroad running through the nearby Russian town of Khasan to transport Russian products like coal. South Korea’s KORAIL, POSCO and Hyundai Merchant Marine had been seeking to take over part of the Russian stake in RasonKonTrans, the Pyongyang-Moscow joint venture in charge of the project. “It’s unsustainable to continue the review that the three-way consortium has been carrying out on our participation now that the fundamental business structure is falling apart,” an industry official said, requesting anonymity due to the sensitivity of the matter. Despite concerns over a possible souring of Russia ties due to Seoul’s about-face, officials here dismissed such speculation, saying the relationship is on “solid” footing including at the leadership levels. “The Rajin-Khasan project, which is essentially a civilian one incepted over economic logics by the two countries’ businesses with the cooperation of the governments, is now difficult to advance given the international community’s sanctions movement in line with the UNSC resolution and our own measures,” said Kim Hong-kyun, chief nuclear negotiator and special representative for Korean Peninsula affairs at the Foreign Ministry. Here is coverage in the Korea Times. Here is coverage in the Hankyoreh. During the big groundbreaking ceremony held for the restoration project last August, South Korean President Park Geun-hye remarked that “the project should be promoted with the greatest urgency to prepare for making the Eurasia Initiative a reality.” But the project appears to be an unintended casualty of the gridlock in inter-Korean relations following North Korea’s fourth nuclear test. “When we set the budget for the restoration project, we estimated that land acquisition would cost 9 billion won (US$7.69 million), based on the assessed price of land. But after the project got underway, prices in the area rose, and the appraised value of land increased to 27 billion won,” Jeong said. Since the price of land has skyrocketed, the government finds itself needing to boost the project’s budget. But in reality, the project might as well be canceled. “We will be reviewing the timeframe for resuming construction as we keep track of budget deliberations and inter-Korean relations,” Jeong said. This could be taken to mean that, even if the Ministry is granted the additional budget it needs to acquire the land, it will not resume construction if inter-Korean relations do not improve. “Since the majority of the construction area is located inside the civilian control line, we have no choice but to consider the threat of North Korea’s nuclear test and repeated provocations,” Jeong said. It can be concluded that the government’s decision to halt construction is related to the policy framework the government has adopted since North Korea’s fourth nuclear test, which involves treating North Korean denuclearization as the greatest priority, shutting down all inter-Korean exchange and cooperation and focusing on putting pressure on the North. On Aug. 5, 2015, President Park attended the groundbreaking ceremony for the southern section of the Gyeongwon Line, which took place at Baekmagoji Station in Cheorwon County. “If the Gyeongwon Line is restored, the mighty sound of the whistle will echo throughout the Korean Peninsula and the continent [of Asia], bringing the news that the Eurasia Initiative is on the march,” Park said during the ceremony. Experts offer two ways of viewing the government’s decision to halt construction. “Park put on a show about restoring the Gyeongwon Line while disregarding the Gyeongui Line and Donghae Line, which the Kim Dae-jung (1998-2003) and Roh Moo-hyun (2003-2008) administrations worked to restore. Now Park is showing her true colors,” said a former government official. “Restoring the Gyeongwon Line is the cheapest and fastest way to connect the Korean Peninsula with Europe,” said Ahn Byeong-min, director of the Research Center of Eurasia and North Korea Infrastructure at the Korea Transport Institute. “Despite the factor of North Korea’s nuclear weapons and missiles, we need to keep moving ahead with the restoration project on the southern section of the railroad as part of the larger vision of building a rail network in Northeast Asia and a land bridge between Asia and Europe,” Ahn said. The Park Geun-hye administration has pushed for the “Eurasia Initiative” aimed at linking energy and logistics infrastructure across Asia and Europe. It hopes to connect rail and road networks from South Korea’s southern port city of Busan to west Europe. The upcoming Eurasia Express expedition is expected to help raise public awareness of South Korea’s vision both at home and abroad, officials here said. Under the slogan, “One Dream, One Eurasia,” participants will gather at Seoul Station on Tuesday from various cities in South Korea by train. They include government officials, lawmakers, artists, academics and businessmen. Split into two groups, they will fly to Vladivostok and Beijing later in the day, respectively, with a cross-peninsula train tour blocked by the heavily-armed border between the two Koreas. With nearly 200 people on board, a train will run from Vladivostok to Berlin, Germany, passing through several other Russian cities and Warsaw, Poland. The other is scheduled to travel from Beijing to Irkutsk, Russia, then the passengers will transfer to the main train for the rest of the tour. The journey is to end in Berlin on Aug. 2, covering a total of 14,400 kilometers, or 8,948 miles, over six countries including Mongolia and Belarus. “The Eurasia Express project is not a mere (political or diplomatic) show. It is a program to reflect the strategic importance of a Eurasia railway,” Foreign Minister Yun Byung-se said in a written interview with Yonhap News Agency. His ministry is co-sponsoring the expedition together with Korea Railroad Corp. (Korail). Yun plans to join the tour on the Warsaw-Berlin leg of the route. The minister said the train event will serve as an important chance to publicize Seoul’s vision and effort for a new Eurasia era. Indeed, South Korea is seeking to join several related rail projects such as the Trans-Siberian Railway (TSR), Trans-China Railway (TCR) and the Trans-Mongolian Railway (TMGR). The biggest hurdle is military tension between South and North Korea. No train is allowed to run through the demilitarized zone (DMZ) bisecting the peninsula. Yun pointed out South Korea has been like an “island” for the past seven decades, a legacy of the Cold War. 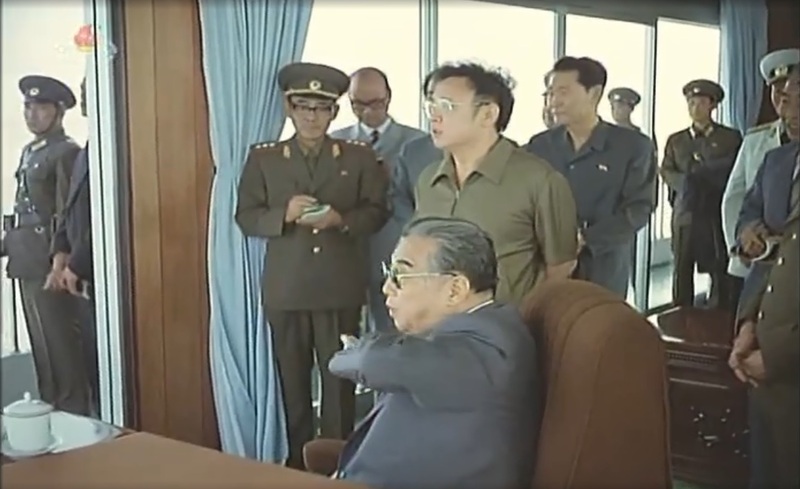 A railway between the two Koreas was briefly reconnected in 2007 for cargo services, riding on the mood of reconciliation at that time. It was severed again, however, in late 2008 after the launch of the conservative Lee Myung-bak government in the South and the North’s provocations including a nuclear test and a long-range rocket launch. Experts agreed the Eurasia Initiative is a pipe dream without improvement in inter-Korean relations. “Pushing for such an initiative is good itself, but we have to see a bigger picture. In the end, (South Korea) should open the way to run through North Korea,” Hong Hyun-ik, senior research fellow at the Sejong Institute said. Lim Eul-chul, a professor at the Institute for Far Eastern Studies at Kyungnam University, said the Eurasia Express expedition is meaningful itself as an opportunity to demonstrate South Koreans’ aspiration for rapprochement with North Korea and re-connection of the railway with Europe. It coincides with the 70th anniversary of the end of World War II and the liberation of Korea from Japan’s 35-year colonial rule. South Korea also marks the 25th anniversary of diplomatic relations with Russia and Mongolia. South Korea’s unification minister expressed hope on Sunday that the reconnection of the railway linking Seoul and the North Korean city of Wonsan will be a “starting point” for inter-Korean cooperation down the road. The 223.7-km-long railway was built in 1914 and served as a major supply route from Seoul to Wonsan before it was severed during the 1950-53 Korean War. The Seoul government earlier said that it will start construction of the 11.7-km-long section of the railway running through Gangwon Province next month in commemoration of the 70th anniversary of its independence from Japan. “Railways are actual linking channels for the two Koreas and I wish to discuss many other issues and cooperative projects based on this railway reconnection business,” he said. The minister noted that there are many projects the two Koreas could cooperate on and the Seoul government’s position is to tackle any difference with the North through conversation, calling for Pyongyang to return to the negotiation table. Construction of the southern section of the Seoul-Wonsan railway will be completed by 2017 with a total of 150.8 billion won to be invested in the project. Here is coverage in the JoongAng Ilbo. The central government has announced plans to restore the South Korean section of the Gyeongwon railway line between Seoul and Wonsan in North Korea. Questions are now being raised about the purpose of the restoration at a time when the existing Gyeongui and Donghae lines between North and South remain unusable. The plan was announced on June 28 by the Ministry of Land, Infrastructure and Transport (MLIT). “We intend to start work in late July on restoring the 9.3-kilometer section of the South Korean Gyeongwon line between Baengmagoji and Woljeong Village [at the Southern Limit Line], where traffic has previously been halted,” the ministry explained. The project will cost 129 billion won (US$115 million) from the Inter-Korean Cooperation Fund, with additional projects to connect Woljeong Village to the Military Demarcation Line (2.4 km) and from there to Pyonggang in North Korea (14.8 km) contingent on discussions with Pyongyang, the ministry added. South Korea currently has rail service operating on its 94.4-km section between Yongsan and Baengmagoji, while North Korea is using the 104-km section between Pyonggang and Wonsan. The MLTI explained that the Gyeongwon Line requires repairs and linkage with the North to form it into a Korean Peninsula railroad that connects in the future with the Trans-Siberian Railroad. Indeed, the linkage of the Gyeongwon Line and Trans-Siberian Railroad is one of the key projects in the Eurasia Initiative announced by President Park Geun-hye. The line would travel via Pyongyang to Wonsan, where it would then continue to Rajin before linking with the Trans-Siberian Railroad. A Keumgangsan branch line between Baengmagoji and Woljeong Village also connects with Naegumgang. Following an agreement at a 2000 Inter-Korean Summit during the Kim Dae-jung presidency, the two Koreas opened the Gyeongui Line to Kaesong Industrial Complex during the Roh Moo-hyun administration in 2003, and the Donghae Line to Mt. Keumgang in 2006. But both lines have remained out of service after relations with Pyongyang soured under the Lee Myung-bak administration, which began in 2008. The Gyeongui and Donghae Lines could connect with the Trans-China Railway, Trans-Mongolia Railway and the Trans-Siberian Railroad. During a preliminary briefing on June 26, the MLTI sidestepped questions about the point of restoring the southern section when the existing Gyeongui and Donghae Lines to North Korea remain unusable. South Korea again failed to join an international organization for railroad cooperation, a prerequisite for building a trans-Asian railway, due to opposition from North Korea, the Seoul government said Thursday. It was the second time Seoul sought to join the Organization for Cooperation between Railways (OSJD) since 2003 when the country’s first attempt was again thwarted by Pyongyang’s opposition, according to the Ministry of Land, Infrastructure and Transport. New membership with the OSJD requires a unanimous vote from the organization’s 28 members, including the communist North. “We were able to secure explicit support of all other members except North Korea, and the organization is now moving to change its membership procedure from a unanimous vote to two-thirds approval from its members, so we are now looking forward to joining the organization at the next chance,” Vice Transportation Minister Yeo Hyung-koo was quoted as saying. Yeo has been attending the 43rd ministerial talks of the OSJD in Mongolia’s Ulaanbaatar. OSJD currently has 28 members, including China and Russia. For South Korea, joining the OSJD is a necessary step to link the country’s own railway system to the trans-Siberian and trans-China railways as part of its long-term goal to reach Europe by land, the ministry said. The North Korean port city of Rajin has improved its capacity to handle a second shipment of Russian coals, boosting confidence in the joint coal shipment project involving the two Koreas and Russia, Seoul officials said Monday. About 140,000 tons of Russian coal is expected to be transferred into South Korea on a ship from Rajin after being moved from Russia’s border city of Khasan on a re-connected railway as a second pilot operation for the three-way logistics project. The shipment will be made between April 16 and May 9. In November, the first shipment carrying 40,500 tons of Russian coal smoothly arrived in South Korea in its pilot operation of the Rajin-Khasan project. The project came as a symbolic project of three-way cooperation at a time when inter-Korean exchanges have been almost suspended following the deadly sinking of a South Korean warship by the North in 2010. “Compared with in November, we think that the port’s capacity to load or unload the shipment was improved,” said an official at the Ministry of Unification, asking not to be named. The project involves three South Korean firms — top steelmaker POSCO, shipper Hyundai Merchant Marine Co. and state train operator Korail Corp. They will decide on whether to clinch a formal contract based on the outcome of the pilot operations. This time the project also includes two power plant operators: Korea East-West Power Co. and Korea Midland Power Corp. 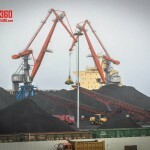 The coal shipment will arrive at three South Korean ports in early May, including the one in Pohang, 374 kilometers southeast of Seoul and a port in Dangjin, 123 kilometers south of the capital. The Rajin-Khasan project is part of Seoul’s move to realize President Park Geun-hye’s vision for a united Eurasia. A second trial run in a three-party trade project involving Seoul, Pyongyang and Moscow that will transport more than 100,000 tons of soft coal from Russia to three Korean ports is scheduled to start today, the Ministry of Unification said on Wednesday. The venture, referred to as the Rajin-Khasan logistics project, will run from today to May 9, and use Chinese ships to transfer the consignment, according to a ministry official. A consortium of three South Korean companies – top steelmaker Posco, the Korea Railroad Corporation (Korail) and ship maker Hyundai Merchant Marine Co. – are involved in the project, which will see the soft coal transported to Rajin, North Korea, from the Russian border city of Khasan on a reconnected 54-kilometer (33-mile) railway before being shipped to South Korea. The expected shipment will be used for thermal power generators and ironmaking. The consignment is three times the amount of coal that was transported in the pilot round, when some 40,000 tons were transferred to Pohang, North Gyeongsang, in November over the same route. Power plant operators Korea East-West Power Co. and Korea Midland Power Corp. are also participating in the second trial run. 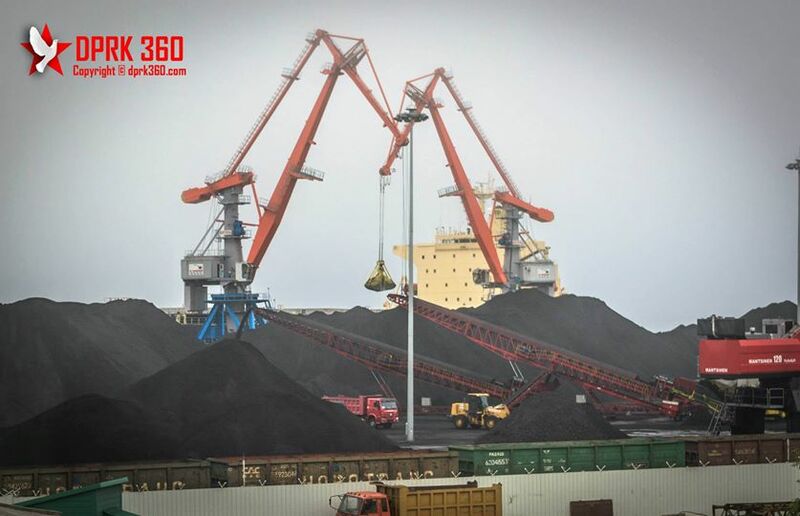 The Russian coal will be transported via two China-flagged vessels, a 44,000-tonner and a 49,000-tonner, that will sail from the Rajin port down the East Sea and around the Korean Peninsula to three ports. 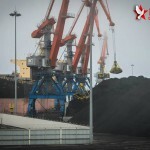 The coal is expected to arrive first in Dangjin Port in Gyeonggi, where it will be used by the Korea East-West Power Co.
More is scheduled to arrive the following day in Gwangyang Port in South Jeolla for use by Posco. Korea Midland Power Corp. will get its delivery on May 9, at the Boryeong Port in South Chungcheong. An inspection team of 18 government officials and representatives from the three South Korean companies will make a weeklong visit to the North Korean city with Russian railway authorities on Friday for the project. The companies will then decide on whether to forge a formal contract for the trilateral project based on the outcome of both test runs. The Rajin-Khasan project is a part of President Park Geun-hye’s Eurasia Initiative first announced in October 2013 as a way to boost the regional economy through free trade and economic cooperation in the Eurasian bloc by reconnecting the railways that link both Koreas, China and Russia. 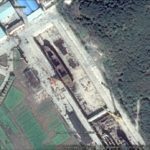 A group of three South Korean firms has been in talks with North Korea and Russia over another pilot operation, during which some 150,000 tons of Russian coal may be shipped to the South between late April and early May, according to the source. “As North Korea has not given final approval for the second operation, the date and size of the shipment has not been decided,” the source said, requesting anonymity. The logistics project is seen as a symbol of trilateral cooperation between the two Koreas and Russia at a time when inter-Korean relations remain stagnant. The project involves three South Korean firms — top steelmaker POSCO, shipper Hyundai Merchant Marine Co. and state train operator Korail Corp. They will decide on whether to clinch a formal contract based on the outcome of the two pilot operations. The project could help realize South Korean President Park Geun-hye’s vision for a united Eurasia. A consortium of Seoul firms is expected to run another pilot operation of a key logistics project involving South and North Korea and Russia in late April, a government official said Sunday. The so-called Rajin-Khasan logistics project is the symbol of trilateral cooperation between the two Koreas and Russia at a time when inter-Korean relations remain stagnant. 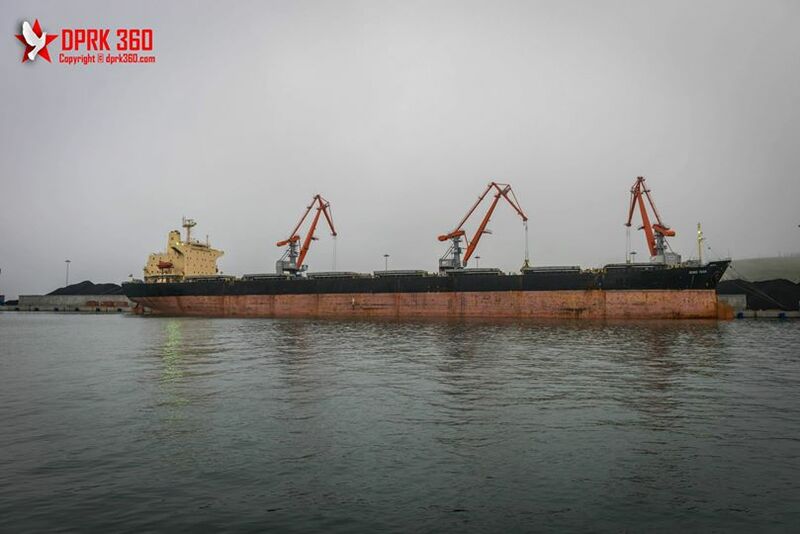 In the previous pilot operation, 40,500 tons of Russian coal arrived in South Korea on a ship from the North Korean port city of Rajin in November after being transported from Russia’s border city of Khasan on a re-connected railway. “The companies are in the process of setting a specific schedule with the North and Russia as they are seeking to run a second operation late this month,” said an official at the unification ministry, asking not to be named. The logistics project involves three South Korean firms — top steelmaker POSCO, shipper Hyundai Merchant Marine Co. and state train operator Korail Corp. They will decide on whether to clinch a formal contract based on the outcome of the two pilot operations. In October 2013, Park unveiled her Eurasia initiative that calls for, among other things, infrastructure development and freer trade among Eurasian nations by linking their railways. South Korea imposed the May 24 punitive sanctions on North Korea in 2010 following Pyongyang’s deadly sinking of the Cheonan warship in March that year. The move has suspended all trade and exchange programs with the North, apart from a joint factory park project in the North Korean border city of Kaesong. The three-way logistics project also has been regarded as an exception. Here is coverage in the Donga Ilbo. The five KEPCO units, led by Korea Midland Power Corp., are reviewing the economic feasibility of the project. “But it is hard to say we will participate in the project as nothing has yet been decided,” said an official at KEPCO. 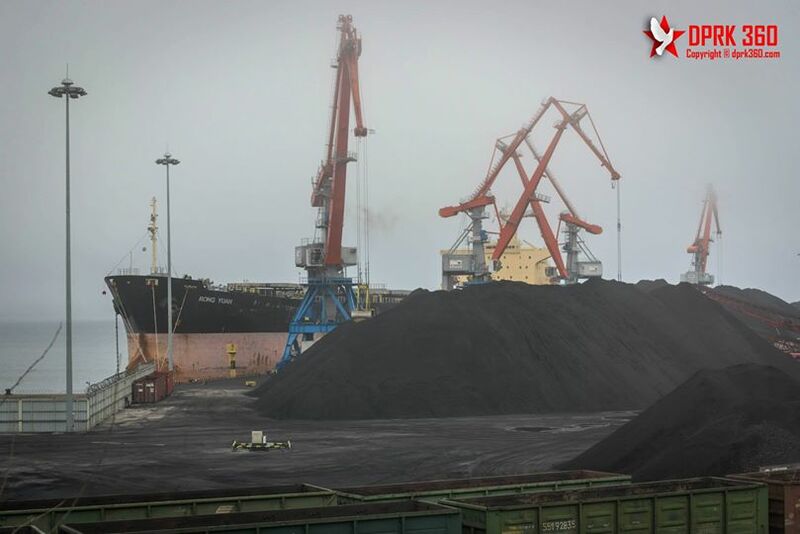 Last month, a group of officials from the units, along with government officials, visited the North’s Rajin port to assess the viability of importing Russian coal, industry sources said. South Korea’s leading steelmaker POSCO, a major shipper Hyundai Merchant Marine Co., and the state-run rail operator Korea Railroad are already taking part. The South Korean government vowed full support Monday for the nascent Rajin-Khasan project, saying it would help spur the “Eurasia Initiative” proposed by President Park Geun-hye. The unification ministry described the logistics program, which is on a test run, as the “starting point” for economic cooperation among the two Koreas and Russia. “It is meaningful as a project to lay the foundation for realizing the Eurasia Initiative, peace in Northeast Asia and the renovation of our economy,” ministry spokesman Lim Byeong-cheol said at a press briefing. He was referring to South Korea’s plan to bring Russian coal through the North’s port of Rajin. In the landmark pilot operation, 40,500 tons of Russian coal arrived in the South on a Chinese-flagged ship over the weekend from Rajin. The coal was transported from the Russian town of Khasan to Rajin on a 54-kilometer railway that was re-connected last year. South Korea’s top steelmaker POSCO began unloading the coal from the ship at its iron mill in Pohang on Monday. Lim said his government will provide every necessary support for the tripartite project in an effort to achieve the Eurasia Project. Another ministry official said the South’s consortium, also involving Hyundai Merchant Marine Co. and Korail Corp., is expected to ink a formal contract with Russia next year. It plans to purchase a stake from RasonKonTrans, a joint venture in charge of the Rajin-Khasan scheme, he told reporters on background. RasonKonTrans was established in 2008 by Russia’s RZD Trading House and the port of Rajin, with 70 percent controlled by Russia and 30 percent by North Korea. The South’s consortium is seeking to buy some of Russia’s stake. “If necessary, I think there could be one more round of pilot operation (before signing the deal),” the official said. Last year, President Park suggested linking energy and logistics infrastructure in the Far East and Europe. But Seoul is not yet considering any other measure such as the modernization of the North’s Rajin port, he added. 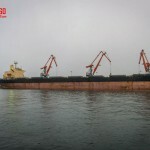 As South Korean companies have recently been showing interest in the Rajin-Khasan Project currently ongoing between North Korea and Russia, the first ever shipment of 45 thousand tons of Russian coal is set to depart from Rajin harbor (DPRK) on November 28, 2014 and arrive in the South Korean port city of Pohang the following night. According to the Ministry of Unification, the South Korean delegation will work in conjunction with a Russian railroad construction company while visiting North Korea to do a comprehensive technical inspection of Rajin harbor. The inspection will cover the loading and shipment of coal, entrances and exits for transport ships, railway-to-port connectivity and other complex logistical processes, and will take place from November 24th to the 28th. Accordingly, a total of 12 representatives from South Korean companies including POSCO, Hyundai Merchant Marine Co. and KORAIL, plus one representative from the Ministry of Unification are slated to take a train from the Russian settlement of Khasan to the North Korean port at Rajin on November 24th. 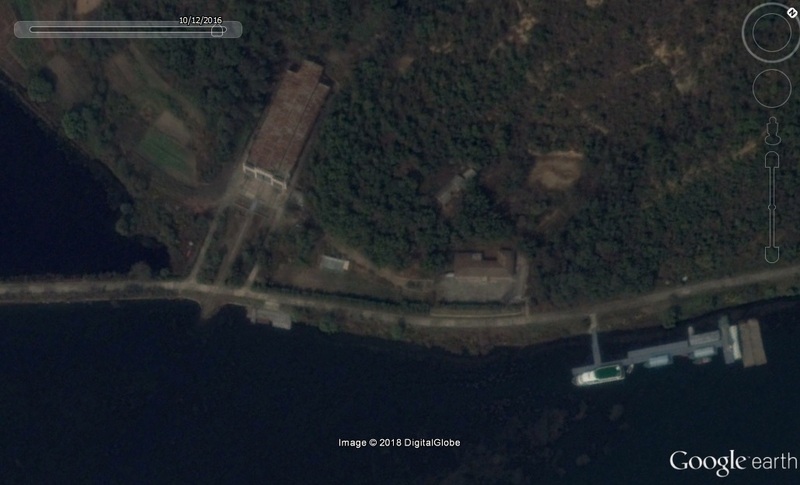 The consortium is visiting North Korea in order to oversee a pilot demonstration of the Rajin-Khasan Project, which will bring coal from Russia into Rajin harbor, where it would then be transported to Pohang harbor in South Korea. This visit is expected to mark the South Korean consortium’s full-fledged participation in the Rajin-Khasan Project. The pilot project will cover the shipment and transportation of 45 thousand tons of coal mined from the West Siberian region in Russia to the South Korean port of Pohang. After the coal is mined and transported to Rajin, North Korea via railroad, it will be loaded onto a Chinese national freighter (capable of holding 56 thousand tons) which is expected to depart Rajin harbor at 10 A.M. on November 28th and arrive in Pohang the following evening at approximately 10 P.M. Specifically, this marks the first use of the direct maritime route connecting Rajin harbor to Pohang harbor, which passes over the Northern Limit Line in the East Sea, since the implementation of the May 24 Measures. This direct route, which takes approximately 36 hours, has been calculated to save up to 15 percent in both time and fuel costs. It is expected that this cost-cutting effect would become even greater if the South Korean companies involved in the Rajin-Khasan Project are able to sign into a long-term contract. The total scale of the pilot project is said to be approximately 4 million USD (approx. 4.45 billion KRW), with around 10 percent of the total being provided by a joint DPRK-Russian corporation known as RasonKon Trans. In relation to this, the Ministry of Unification has stated that the majority of this money is being paid to Russian mining companies, with a small portion being given to North Korea for port dues and other costs, and that there appear to be no problems or abnormalities in this international trade project. It appears that POSCO, Hyundai Merchant Marine, KORAIL and other South Korean firms have been examining a possible stake in Russian railroad construction companies, and will proceed with establishing a corporate body in Russia to invest in RasonKon Trans. The equity structure of RasonKon Trans currently stands at 7:3, with the Russians holding the larger share. South Korean firms are currently reviewing investing in a stake of the Russian share, and formal contracts are not expected until 2015. The goal of this pilot project is to test how much supply the project can technically handle, and to use that figure as a base for calculating profitability. The South Korean representatives are planning to hold negotiations with Russia; however, it appears that it will be difficult to conclude these talks within the year. In July, an inspection team was dispatched to Rajin harbor as part of the “Rajin-Khasan Logistics Project,” where they concluded that the port was capable of transporting 4 million tons per year. The coal mined in West Siberia is transported via the 54 kilometer Rajin-Khasan railroad and takes merely one hour to reach Rajin, where it is then transported to the harbor and distributed to as many as three piers equipped to handle shipment. Choi Kyung-soo, a director at the North Korean Resources Institute in Seoul, says that a trilateral partnership tends to be less risky than a bilateral project such as the Gaesong Industrial Complex. “There is a possibility that the North may try to use the trade route as a means to put pressure on the South when things go badly for them. But I think Russia won’t sit idle if its economic interests are affected,” he said. Because there is a role that a third party can play, Choi says, the shipment of Siberian coal to South Korea via the North Korean port will be less risky than the Gaesong Project. Under the envisioned program, South Korea’s top steelmaker POSCO will bring in Russian coal via the North Korean port of Rajin. Two other South Korean firms — Hyundai Merchant Marine Co. and Korail Corp. — are joining the project. “Since it is a normal international commercial trade, it’s my understanding that there is no problem with the U.N. sanctions,” the official told reporters on background. It is also a “special case” as far as Seoul’s bilateral sanctions on Pyongyang are concerned, he added. The South maintains the May 24th Measure, effectively blocking all inter-Korean economic projects except for the Kaesong Industrial Complex. The sanctions were imposed for the North’s deadly torpedo attack on a South Korean warship in 2010. Once the trilateral program is formally launched, he admitted, the North will be able to secure a stable supply of cash. The three countries are poised for the first test run of the project next week, in which POSCO will import 40,500 tons of coal from a Russian mine in the West Siberian region. The 54-kilometer railway between the North Korean city of Rajin and Russia’s Khasan will be used and then a Chinese-flagged 56,000-ton ship will carry the coal to the South’s port in Pohang. The ship is scheduled to depart Rajin on Nov. 27 for about a 36-hour voyage. If the project proves cost-effective, the South Korean consortium will hold further talks with the Russian side for a formal contract. It would be hard to ink the deal within this year, though, given the time needed for the relevant process, said the official. 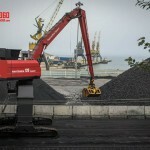 POSCO brings in some 2 million tons of Russian coal every year by way of Vladivostok. The Rajin-Khasan project is expected to cut shipment costs by 10-15 percent in the long term, according to the ministry official. “But the stability (of its operation) is the key to its success,” he said, citing the possibility of political setbacks amid Pyongyang’s unpredictable behavior. Meanwhile, a team of 13 South Korean delegates plans to visit Rajin and Khasan next week to monitor the pilot run worth US$4 million. The delegation is composed of a unification ministry official and a dozen related company officials. The ministry said it approved their trip to the North earlier Friday. South Korea has an ambition of linking its railway network with that of Europe through North Korea. Based on current coal prices, the shipment is valued at around $4 million. North Korea is receiving an undisclosed sum, which a Unification Ministry official called “very small.” A spokesman for the Russian Railways said North Korea receives 30% of the usage fee for about 50 kilometers (31 miles) of railroad from the Russian border to Rajin but couldn’t provide details about the payment. A spokesman for Posco declined to comment on the cargo value or the payment structure. A Unification Ministry official said that since the structure of the deal involves payment via a third country it isn’t subject to Seoul’s sanctions against Pyongyang. The official, who requested customary anonymity, said the exception was also made to promote South Korean President Park Geun-hye’s “Eurasian Initiative,” which aims to link Europe and East Asia with energy and transport networks. According to the JoongAng Ilbo, the ship was sipposed to depart Rason on Nov 28, but because the loading went smoothly, the vessel left port on Thursday, Nov 27. It arrived in South Korea on the following Saturday. North Korea is willing to host South Korean firms’ investment in the country’s railway project with Russia, a South Korean government official said Thursday after a recent on-site inspection visit to the North. A group of 38 government officials and representatives from South Korean rail operator KORAIL, steelmaker POSCO and shipping company Hyundai Merchant Marine Co. returned on Tuesday from their one-week visit to the North’s Rajin port near the country’s northeastern border with Russia. It was the three-firm consortium’s second visit to the North, intended to conduct a feasibility study on their plan to join the so-called Rajin-Khasan logistics project, linking the North Korean port city to Russia’s Trans-Siberian railway. “(The North) basically said they are pleased with South Korean investment and reacted with a hope that this (deal) could help South-North Korean relations advance,” a South Korean government official who joined the recent North Korean tour said on condition of anonymity. The official said based on the recent on-site inspection, the local business consortium may finalize the review of its plan to join the project, adding that it is likely to strike a deal with the Russian side later this year or early next year. During their summit meeting in Seoul in November, South Korean President Park Geun-hye and her Russian counterpart, Vladimir Putin, agreed to help the South Korean firms join the project, which would let them invest indirectly in the North. The local consortium is reportedly planning to test-run a transportation route within this year to move Russian coal to the North Korean port and then to ship it to South Korea’s eastern port of Pohang. 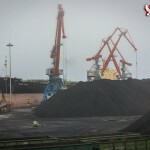 The official said the North Korean port of Rajin is now fully ready for such coal transportation. “(Transportation) seemed to be possible at any time,” the official said, referring to the Rajin port’s third pier, which has been completed recently and launched last week. The local consortium is seeking to use the new pier if it enters into the North Korean-Russian project. 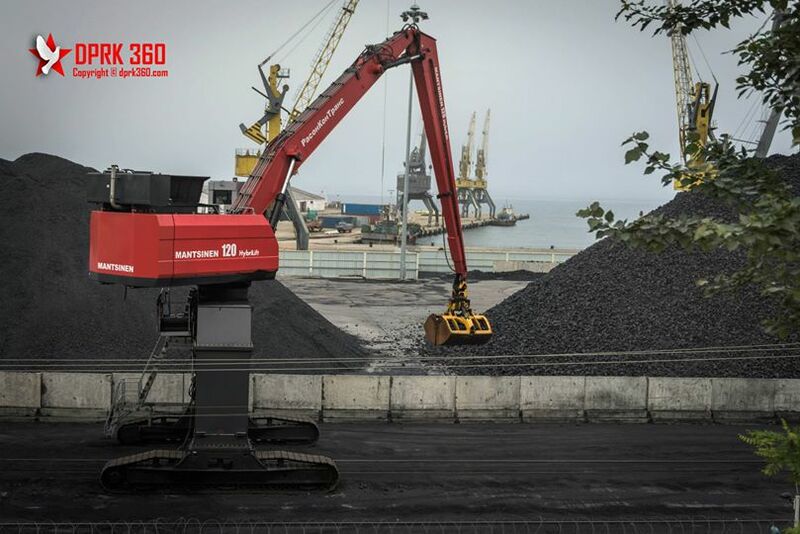 The new pier is capable of handling 4 million tons of coal annually, the official added. Under the bilateral logistics project, North Korea and Russia reopened in November a 54-kilometer stretch of railroad track linking the North Korean port to the eastern border Russian city of Khasan after a five-year renovation. The South Korean official also said the cross-border railroad was being well operated as of recently. If the local consortium finally decides to join the project, it reportedly may so do by acquiring half of Russia’s share in the project. The South Korean government has been promoting South Korean firms’ participation in the logistics project, which it views as closely linked to President Park Guen-hye’s “Eurasian Initiative,” a vision that calls for building more infrastructure and freeing up trade between Eurasian nations to create what could become a large single market rivaling the European Union. The unification ministry earlier said that a formal deal between the consortium and its Russian counterpart for the project will be signed in the second half of the year. Russian Minister for Far East Development Alexander Galushka announced plans to extend the Trans-Siberian Railroad into North and South Korea during a Russian-Korean trade meeting in Vladivostok on Thursday. The expansion program calls for a collaborative railway construction project between Russia, North Korea and South Korea. Russian officials hope the expansion will not only triple the speed at which goods are shipped between Europe and Korea, but also restore peace between North and South Korea, RT.com reports. Mechel, Russia’s largest steelmaking company, has agreed to supply the steel required for the first phase of the expansion. South Korea’s Hyundai Construction has been identified as a likely commercial partner in the project. North Korean officials have been reluctant to participate in any collaborative infrastructure program despite the poor conditions of its rail system. Members of the North Korean government began to express interest in a railway development project last September after Russia re-opened a 33-mile expanse of track to Khasan, the last Russian city before the North Korean border, according to RT.com. The Organisation for Co-Operation between Railways (OSJD) has decided to hold two major meetings, the Commission on Freight Traffic in 2015 and Conference of General Directors in 2019, in Seoul. KORAIL president Choi Yeon-hye made the announcement at Gimpo Airport on Monday after returning from an OSJD meeting in Pyongyang. It is unprecedented for an associate rather than full member to host the conference. The OSJD is an organization of 27 former and current communist countries, including Russia, China and North Korea. “We don’t know yet whether the North will attend the meetings in 2015 and 2019, but the participants unanimously decided to hold them here, and the North didn’t oppose it, so we expect them to come,” she added. The annual conference of general directors alternatively takes place in Asia and Europe, but exceptionally the 2019 meeting will also be held in Asia following the 2018 meeting in Vietnam. The government here is keen to work with the railway body to link South Korea to Eurasia via North Korea. Here is coverage in Yonhap. KORAIL president Choi Yeon-hye is appropriately on her way to North Korea by train. Choi left for Pyongyang on a train from Beijing on Monday afternoon to attend a meeting of the Organisation for Co-Operation between Railways (OSJD), KORAIL said Monday. The government approved Choi’s request to visit to the North on Sunday after the North sent her a letter of invitation. She got a visa from the North Korean Embassy in Beijing the same day. The train runs from Beijing to the North Korean border city of Sinuiju in 24 hours, where she switches trains for the 225 km stretch to Pyongyang. A KORAIL executive said, “Choi’s visit is the North’s first approval of a South Korean official’s visit” since the South imposed sanctions against North Korea in 2010. She is the first senior South Korean figure to visit Pyongyang since the inter-Korean summit in 2007. President Park Geun-hye is keen to connect South Korea to Eurasia by railway, which requires cooperation from the OSJD. North Korea has invited the head of South Korea’s rail operator to an international conference to be held in Pyongyang next week, a source with knowledge of the matter said Friday. However, the North made the invitation verbally, which is preventing Choi Yeon-hye, president and CEO of the Korea Railroad Corp., from formally applying for the trip to Pyongyang, the source said. The rail conference in Pyongyang, scheduled for April 24-28, is meant to boost international cooperation between railway operators, the source said, adding that it is expected to bring together top rail officials from China, Russia and 25 other member states of the Organization for Cooperation of Railways. South Korea’s Unification Ministry, which handles inter-Korean affairs, said no decision has been made yet on whether to allow Choi to travel to the North for the conference. Also on the table in the Pyongyang-Moscow talks was how to boost cooperation among the two Koreas and Russia, with Pyongyang and Moscow making it clear that the two “share mutual interest” in the trilateral cooperative projects, according to the report. “The (Russian) ministry reaffirmed the countries’ mutual interest in joint projects with South Korea, including international connections for railways, gas pipelines and power lines,” it said, adding that the minister stressed stability on the Korean Peninsula is key to achieving the goal. Discussions of the project to connect the Trans-Siberian Railway (TSR) with the Trans-Korean Railway (TKR), dubbed the “Iron Silk Road,” have been under way for more than a decade, but geopolitical obstacles have hindered it, particularly given North Korea’s nuclear ambitions. South Korea and Russia have also been in discussions to push for a project to build a gas pipeline linking the two via North Korea. The next meeting of the bilateral commission is scheduled for June in Russia’s far eastern city of Vladivostok, according to the ministry. You can read more about the gas pipeline here. Once the coal shipment from Siberia arrives in Rajin through the Hasan train station on the Russian side, South Korean ships will move the cargo to POSCO in Pohang from the No. 3 wharf in Rajin. The pilot coal shipment program is undertaken as part of the Rajin-Hasan railway project. The 54-kilometer railway link is critical to connecting the rail lines in the south to Busan and the trans-Siberian railway to European destination. Earlier in 2000, Russian President Vladimir Putin and then-ruler of North Korea Kim Jong-il agreed to build the line at the cost of US$340 million. Rajin is a port city located at the northernmost corner of North Korea bordering Russia. The Russian government has since 2010 been working on building berths capable of holding 70,000-ton vessels in Rajin’s No. 3 wharf. The Chinese government is also in talks with North Korean authorities over building container unloading facility as well as expanding the wharves No. 4 to 6. The problem, however, is the Russian side has not found coal mines big enough to supply the volume demanded by Korean companies including POSCO. Korea has taken the first step toward connecting its railways to the Eurasian continent. The Korea Railroad Corporation on Sunday said it became an associate member of the Organization for Cooperation Between Railways (OSJD) in Warsaw, Poland. In order to connect Korean railways from Busan to Europe, it is essential for KORAIL to register to the OSJD, which makes the rules on the Eurasian continent and overseas treaties amongst member states. The initiative, which was announced in October last year, aims to strengthen Eurasian economic cooperation and prompt an opening of North Korea to lay the groundwork for reunification with the South. The OSJD invited KORAIL to a meeting of the heads of member states’ railways in Pyongyang next month. South Korea may be able to use the North Korean port city of Rason for logistical purposes as early as early next year, the unification ministry said Wednesday. “The flow of goods through the Rason region may become possible around next spring if things go smoothly,” Unification Minister Ryoo Kihl-jae said in a lecture to a group of former lawmakers. 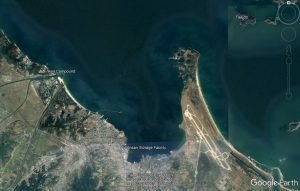 “In early February, South Korean companies paid an on-site visit to the Rason area and if this (cooperation project) goes smoothly, major progress would take place around September this year,” the minister said of Seoul’s push to join the Rajin-Khasan development project between Pyongyang and Moscow. The project is designed to develop Rajin, the northeastern North Korean port city now reintegrated into Rason, into a logistics center linked to Russia’s Trans-Siberian Railway. 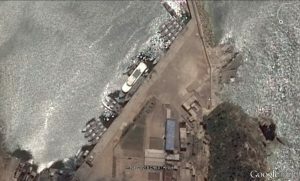 The government is planning to link the North Korean port to two major South Korean southern ports of Pohang and Busan. …Seoul’s Unification Ministry said on Sunday that an 18-strong Southern business team will visit Rajin in North Korea’s northeast, near Russia and China, on Feb. 11-13. Three firms are going: steelmaker Posco; Hyundai Merchant Marine011200.SE -6.55%, a shipper; and state-owned monopoly Korail. The government isn’t sending anyone. This follows a deal signed during Russian President Vladimir Putin’s one-day visit to Seoul in November. The plan is for the South Korean trio to acquire up to half of Russian Railways’ 70% stake in RasonKonTrans, a $340 million project which last fall, five years late, finished upgrading 54 kilometers of track from Russia’s border at Khasan down to Rajin, Asia’s most northerly all-year ice-free port. Harbor facilities are also to be modernised. I was skeptical at the time. The companies sounded non-committal, and two big political reefs loomed. Had anyone asked North Korea, whose railways ministry owns the other 30% of RasonKonTrans? And wouldn’t this breach the ban Seoul imposed in 2010 on all trade and investments in North Korea, outside the Kaesong Industrial Complex? The Southern government says no. This is just an inspection tour, but North Korea appears to have raised no objection – which is interesting, if scarcely consistent. Pyongyang plays politics with family reunions: a sadistic heartbreaker for elderly Koreans yearning to see their long-lost kin, if only once and briefly. A group of South Korean company officials will visit the Democratic People’s Republic of Korea ( DPRK) to carry out field study for joining in Rajin-Khasan railway and port development project between Pyongyang and Moscow, South Korea’s unification ministry said on Sunday. A total of 18 officials from South Korea’s state-run Korea Railroad Corp. (KORAIL), steelmaker POSCO and shipper Hyundai Merchant Marine are scheduled to visit DPRK’s northeastern port city of Rajin from Tuesday to Thursday. The ministry said they will meet their Russian counterparts in Vladivostok and then departed for the DPRK. South Korean President Park Geun-hye and Russian President Vladimir Putin agreed to cooperate in the Russian-led project during their summit in Seoul last November. The Rajin-Khasan project aims to refurbish DPRK’s Rajin port and a railroad connecting it to the nearby Russian town of Khasan, paving the way for the Trans-Korean Railway and the Trans-Siberian Railroad reaching Europe. A double-track railway between Rajin and Khasan reopened last September after years of renovation. It is reported that if the trilateral program runs smoothly, the Rajin port will become a logistics center for South Korean and Russian firms. The project is part of Park’s plan for building the “Silk Road Express” by linking roads and railways running from South Korea to Europe via the DPRK, Russia, China and other Eurasian nations. Officials from South Korean companies set to participate in an economic project between Pyongyang and Moscow will visit North Korea this week for an on-site inspection, the government said Sunday. The unification ministry said 18 officials from three South Korean firms will visit North Korea’s northeastern port of Rajin from Tuesday to Thursday. The companies are state-run Korea Railroad Corp. (KORAIL), top steelmaker POSCO and No. 2 shipper Hyundai Merchant Marine. No government official will join the trip, the ministry said. Their inspection is part of South Korea’s participation in the Rajin-Khasan development project, the Russian-led rail and port development venture in North Korea. It’s designed to develop Rajin into a logistics center linked to Russia’s Trans-Siberian Railway. Last September, a double-track railway reopened between Rajin and Khasan, the nearby Russian town, after years of renovation. In their summit meeting in Seoul last November, South Korean President Park Geun-hye and Russian President Vladimir Putin agreed to help South Korean firms join the Rajin-Khasan project. Also last year, Park unveiled her plan to expand economic cooperation with Eurasian nations, dubbed the Eurasian Initiative. The policy is built on the idea that exchanges between South Korea and Eurasian nations, in particular Russia, could help induce the reclusive North Korea to open up and alleviate tensions on the Korean Peninsula. Chris Green of the Daily NK has translated an interview with the executive director of POSCO Corporate Strategic Planning Dept, Jeon Woo-sik, wherein he offered details about the delegation visiting Rason? Ha Joon-soo, “나진~하산 프로젝트 현장 실사단 내일 방북“ [Rajin-Khasan Project onsite inspection team to visit North Korea tomorrow], KBS News, February 10, 2014. Q: What is the makeup of the inspection team? Jeon: There are five people going from POSCO [포스코]: a ports expert, an investment expert, and staff. There are six from Korail [코레일], another five from Hyundai Merchant Marine [현대상선], and two from the inspection company [실사법인], which makes eighteen. Aside from that, twenty staff from Russian Railways [러시아 철도공사] will accompany [the group]. Meetings with the North Korean side will be conducted in English and Russian, so the Russian side will bring interpreters. Q: What is an “inspection company”? Jeon: There is the need for personnel to expertly verify accounting and tax documentation, so we incorporated a body [for that]. Q: There will be no [South Korean] government officials with the group? Jeon: None. This is a purely private undertaking, and it was decided that if government officials were included it could have a negative impact. Therefore, we formed the entire team from the private sector, and the government accepted this position. Q: What is the team’s schedule? Jeon: We minimized it as far as possible. Given that experts from each sector will be doing the inspecting, we decided that three days would be sufficient. Today [February 10] they departed for Vladivostok in Russia, and tomorrow morning [February 11] they will set off by special train. After completing the border formalities at Khasan on the Russia-DPRK border, we expect them to arrive in Rajin at around 12. Construction at Rajin Port is currently underway, so they will conduct visual inspections of the state of the port, whether pier construction is being done properly, and what the state of the Rajin-Khasan railway is. It is also expected that they will get additional information from the Russian side. Q: What was done in advance to facilitate this? Jeon: We applied for the visit in the middle of January, and document checks took about three weeks. The North Korean government signed off on the visit on February 5, and [the South Korean] government approved it on February 7. Q: Can you give a concrete breakdown of what the team is going to do? Jeon: The port and railway inspections will be divided into areas of expertise. More concretely: they will check the state of the rail track bed, the width of the track and the spaces between the rails, as well as signaling systems and stations. 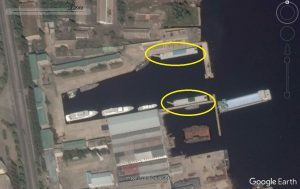 In the Russian documentation it says that Pier 3 is 600m long, but this must be verified, along with the depth of the water, whether it freezes in winter, the state of the mobile port cranes, whether it will be possible to use the pier over the long term, its strength, and how much investment is likely needed for dredging. Once that has been done, we’ll be able to roughly assess the investment cost on the Russian side. 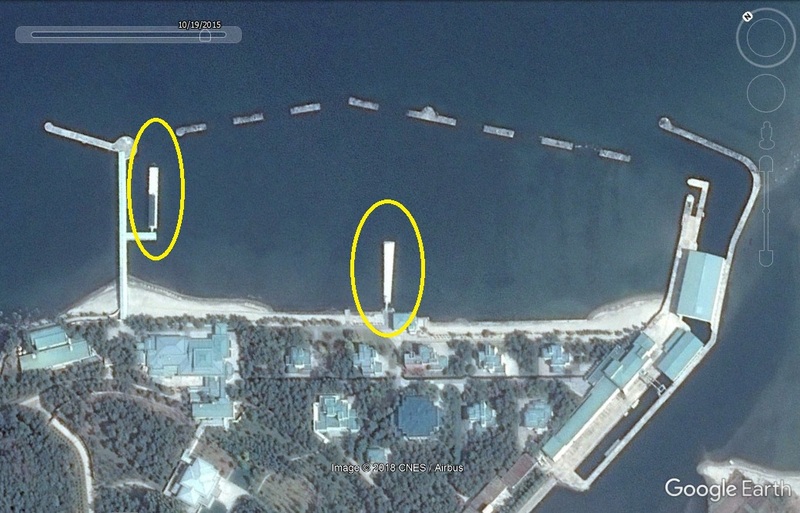 Q: Is it right that, according to the Russian side, construction at Pier 3 will be complete at around the end of 2013? Jeon: Port construction progress is currently at 90 percent. It’s winter now so construction isn’t possible, but it should be 100 percent complete during the next quarter. We’ll check on the construction of the port distribution terminal during these inspections. As it stands, coal from Siberia is what is coming in, so as long as there is storage for coal it is enough. Q: Why do you need to perform in-situ checks? Jeon: As you will be aware, the “Rajin-Khasan Project” is a cooperative one between North Korea and Russia. It’s an integrated port and rail freight business, and is worth a total of $340,000,000. Of this, North Korea has invested 30 percent and Russia 70 percent. However, around half the Russian stake is supposed to be supplied indirectly by this consortium of Korean firms; yet even last November when a MoU was adopted between Russia and Korea, decisions were made based on documents from the Russian side. We have never seen for real how the construction is proceeding. How much should be invested can only be decided once the precise reality has been seen. Q: What will happen once the inspection has been completed? Jeon: We need to know the results of the inspection before we can decide that. Investment sums will be decided within this calendar year. Q: So, when can we expect boats loaded with coal to come from Rajin down to Pohang and Busan [in South Korea]? Jeon: Russian Far East ports are at saturation point dealing with Russia’s natural resources. The best thing would be for the freight headed for South Korea to be taken out and sent through Rajin instead. However, for a South Korean vessel to come and go from Rajin Port requires an authorization process. This part is linked to the 5.24 Measures, meaning that it would become possible more rapidly if the 5.24 Measures were lifted. Explaining that the Rajin-Hasan Project is a “special case” that is going ahead despite the May 24 measures, Unification Minister Ryoo Kihl-jae said that North Korea would have to take meaningful steps before the May 24 measures could be revoked. During a plenary session at the National Assembly on Feb. 10 on issues related to diplomacy, unification, and national defense, the minister said that the May 24 punitive measures against North Korea would not be lifted until the North took action showing its remorse for the sinking of the Cheonan warship. The May 24 measures, instituted after the Cheonan was sunk in 2010, constitute a complete ban on economic activity, exchange, and cooperation with North Korea. But when asked about the Rajin-Hasan project, in which POSCO, Korail, and other South Korean companies have recently received permission to invest, Ryoo said that the project is moving ahead because it has particular significance for South Korea’s national interest regarding relations with Russia. If the project makes progress in the future and material starts to move, Ryoo predicted, various discussions will take place. That is to say, South Korea is moving forward with the Rajin-Hasan project as an exception to the May 24 measures. On Monday, South Korean Prime Minister Chung Hong-won also said that the Rajin-Hasan issue is a special case. “What happened to the principles that President Park Geun-hye was talking about?” complained one businessman involved in economic cooperation with North Korea. “If you’re going to relax the restrictions, you should relax them for everyone. It‘s not fair just to relax them for large companies,” the businessman said on condition of anonymity. South Korea is set to launch a task force on economic cooperation projects with North Korea and Russia, including a long-discussed plan for a trilateral rail link, Seoul officials said Thursday. The move is the first follow-up step after President Park Geun-hye announced late last year her plan to expand economic cooperation with Eurasian countries for more trade opportunities. Called the Eurasian Initiative, the policy is centered on the idea that exchanges between South Korea and Eurasian nations, especially Russia, will help induce an opening up in the reclusive North, which lies in between, thus allaying the long-running military and diplomatic tensions on the Korean Peninsula. The task force, tentatively named the Trilateral South, North Korea, Russia Cooperation Task Force, will be launched as soon as February under the wing of the foreign ministry’s Europe division, according to the officials. Under the task force, about five government officials will be charged with reviewing the feasibilities of various economic project ideas among the three nations, including much-discussed plans to link a railroad, gas and oil pipes, and electrical grids between South Korea and Russia through North Korea, according to them. Discussions of the project to connect the Trans-Siberian Railway (TSR) with the Trans-Korean Railway (TKR), dubbed the “Iron Silk Road,” have been under way for more than a decade, but geopolitical obstacles have hindered it, particularly given North Korea’s nuclear and missile ambitions. In a summit meeting held in Seoul last November, South Korean President Park and Russian President Vladimir Putin signed a memorandum of understanding to help South Korean companies join the Rajin-Khasan development project in North Korea, the Pyongyang-Moscow project to link their railways for better logistics. The memorandum of understanding was the most tangible outcome from Park’s summit with Russian President Vladimir Putin. It calls for steel giant POSCO, Hyundai Merchant Marine Co. and Korea Railroad Corp. to participate in the Rajin-Khasan development project. The project was designed to develop North Korea’s ice-free northeastern port of Rajin into a logistics hub connected to Russia’s Trans Siberian Railway. In September, a 54-kilometer, double-track rail link reopened between Rajin and the nearby Russian town of Khasan after years of renovation. Once the project to modernize the port of Rajin is completed, the rail-connected port can be used as a hub for sending cargo by rail from East Asia to as far as Europe. South Korean firms can also ship exports first to Rajin and transport them elsewhere via Russian railways. North Korea and Russia launched the US$340 million project in 2008. “The two sides agreed to encourage the rail and port cooperation project that companies of the two sides are pushing for so that it can move smoothly forward,” said a joint statement issued after the summit. The project fits into Park’s “Eurasian initiative,” which calls for binding Eurasian nations closely together by linking roads and railways to realize what she called the “Silk Road Express” running from South Korea to Europe via North Korea, Russia and China. Wednesday’s agreement was seen as a first step toward the ambitious vision. “We, the two leaders, agreed to combine South Korea’s policy of strengthening Eurasian cooperation and Russia’s policy of highly regarding the Asia-Pacific region to realize our mutual potential at the maximum level and move relations between the two countries forward,” Park said during a joint press conference. “South Korea and Russia will join hands to build a new Eurasian era for the future,” she said. The Korean consortium plans to buy a stake in RasonKonTrans, the Russian-North Korean joint venture carrying out the rail and port renovation project. A final decision on the planned purchase will be made after a due diligence study in the first half of next year, officials said. State monopoly Russian Railways has a 70 percent stake in the joint venture, with the North holding the remaining 30 percent. News reports have said that the Korean consortium plans to buy about half the Russian stake. The purchase could be in conflict with Seoul’s ban on new investments in North Korea, though it is an indirect investment via Russia. The ban is part of sanctions Seoul imposed on Pyongyang after the North torpedoed and sank a South Korean warship near their Yellow Sea border in 2010. The project could pave the way for similar indirect investments in the North and help reduce tensions on the divided peninsula. Inter-Korean relations, which had shown signs of a thaw following months of high tensions, chilled again after Pyongyang unilaterally canceled reunions for separated families in September. Putin arrived in South Korea from Vietnam earlier Wednesday on a one-day visit for his second summit with Park. They first met in September on the sidelines of a Group of 20 major economies meeting in Russia’s second-largest city of Saint Petersburg. In Wednesday’s summit, the two leaders also signed an MOU to enhance cooperation in shipbuilding. Officials said the deal laid the groundwork for South Korea to win orders of at least 13 liquefied natural gas tankers from Russia on the condition of technology transfer. Also discussed was a long-discussed project to link railways of the two countries via North Korea and through to Europe. The two sides signed an MOU on rail cooperation and agreed to study the project as a long-term venture. The rail project has been talked about for many years, but little headway has been made due to security tensions. Other projects the two sides agreed to cooperate on as long-term ventures included building a natural gas pipeline linking Russia and South Korea via the North and developing Arctic shipping routes to reduce shipping distances and time between Asia and Europe. In total, the summit produced 17 cooperation agreement, including a visa-exemption pact calling for allowing Koreans and Russians to visit each other’s nation without a visa for up to 60 days, as well as an accord to set up cultural centers in each other’s nation. Other topics for the meeting included regional and global security issues, such as the North Korean nuclear standoff. Russia is a member of the six-party talks aimed at ending Pyongyang’s nuclear program and is also one of the five permanent members of the United Nations Security Council. “The two sides confirmed they cannot accept Pyongyang’s policy of building independent nuclear and missile capabilities … and stressed that North Korea cannot have the status of a nuclear state,” the joint statement said. They also emphasized the North should abide by international denuclearization obligations and commitments, and agreed to work together to create the right conditions for restarting the long-stalled six-party talks on ending Pyongyang’s nuclear program, the statement said. Putin’s visit to Seoul is the first by a leader from the four major powers that also includes the United States, Japan and China since Park came into office. The Russian president is also the sixth foreign leader to visit South Korea under the Park administration. The ministry, in charge of all inter-Korean relations, said plans by a South Korean consortium to buy a stake in RasonKonTrans, the Russian-North Korean joint venture, can strengthen ties between South Korea and Russia and create greater opportunities for all sides. The project, first launched in 2008, cost Pyongyang and Moscow US$340 million. It said the memorandum of understanding, signed on the sidelines of summit meeting between South Korean President Park Geun-hye and Russian President Vladimir Putin earlier in the day, did not mean Seoul was abandoning its so-called May 24 blanket ban that prohibits all economic and personnel exchanges with the North. The ban has been in place since 2010, after Seoul accused Pyongyang of sinking one of its warships near the sea border in the Yellow Sea. Seoul at present only permits humanitarian assistance exempt from the sanctions rule. “This project is special, and efforts will be made to assist visits by South Koreans who have to go to the North to carry out due diligence,” said a ministry official who declined to be identified. He added that while an investment does conflict to some extent with Seoul’s ban, it is slightly different, since companies will be buying stakes in the Russian company. “It will be an indirect form of investment and not the direct kind that has been banned so far,” the source said. However, he conceded the move marks the first time that investments into a North Korean project have been authorized. South Korean businessmen from steelmaker POSCO, Hyundai Merchant Marine Co. and Korea Railroad Corp. are expected to go on fact-finding missions to Rajin and check the rail line linking the port city with the Russian town of Khasan. Under the project, aimed at utilizing North Korea’s ice-free port, Russia aims to transform Rajin into a logistics base linked to its Trans Siberian Railway (TSR). If the project makes headway, Rajin can be used by South Korean companies to send cargo by rail to Europe using the TSR. On the controversy that may arise from “bending” the rules, the ministry official said the government is willing to review other indirect forms of investments involving other countries if proposed. “If a proposal is submitted, it will be judged in terms of the nature of the project, the effect it will have on cross-border relations and North Korean attitude,” he stressed. 1. Read more about the Russia-Rajin rail link here. 2. Read more about the Russia – South Korea gas pipeline here. 3. Read previous posts on the Rason SEZ here. You are currently browsing the archives for the Sea shipping category.